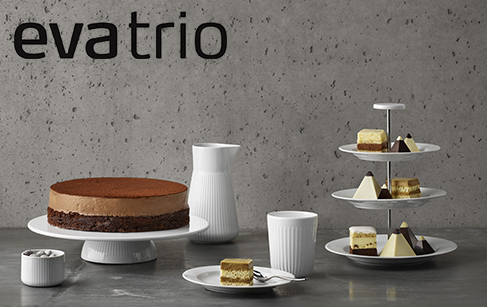 Eva Trio comprises high-quality cookware and kitchen utensils. The design of the products is simple and elegant. The pots almost have the status of design classics – but don’t be deceived. These products are designed to be used day in, day out. They represent professional quality for the home. The series consists of cookware, kitchen utensils, porcelain and glass. The XO COLLECTION is a series of kitchenware that combines durable quality with a distinctive, stylish design to match even the most beautiful of kitchens. XO is for people who believe that good taste is experienced with your eyes as well as your taste buds. The series includes pots, pans, kitchen utensils and accessories.